This tank is the crown jewel in Tom’s vehicle collection. 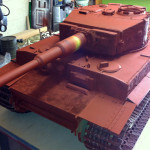 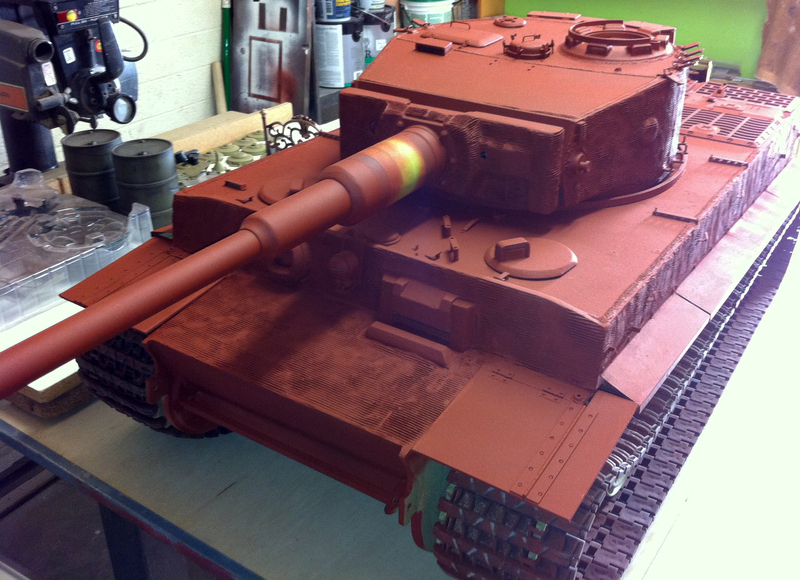 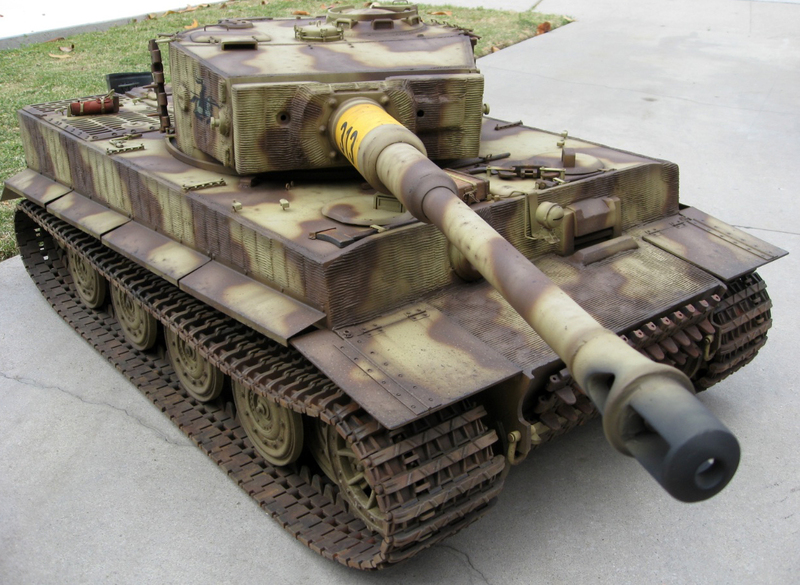 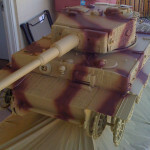 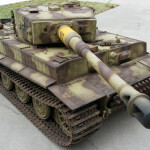 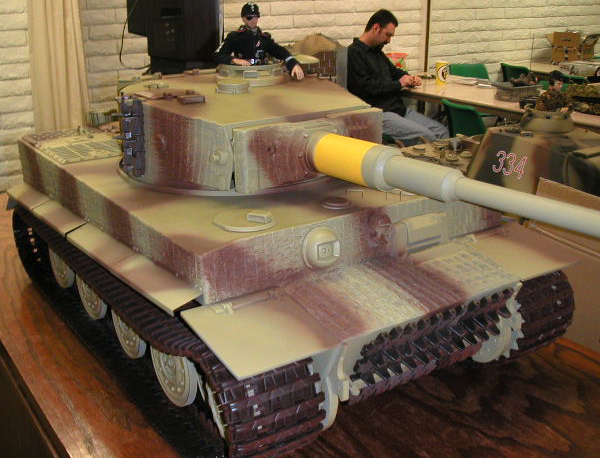 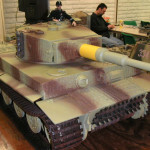 This Tiger I German tank was built from a kit supplied by Fields of Armor (ABS Plastic). 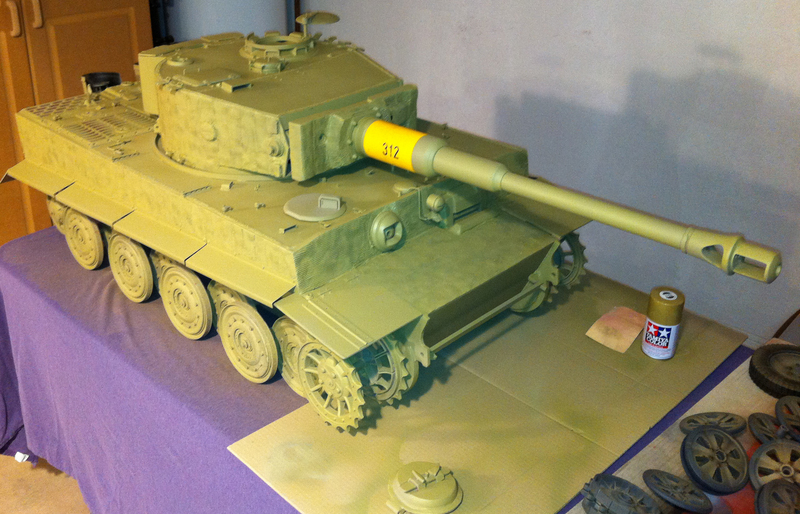 The version shown here in the final picture is the result of two rebuilds. 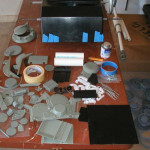 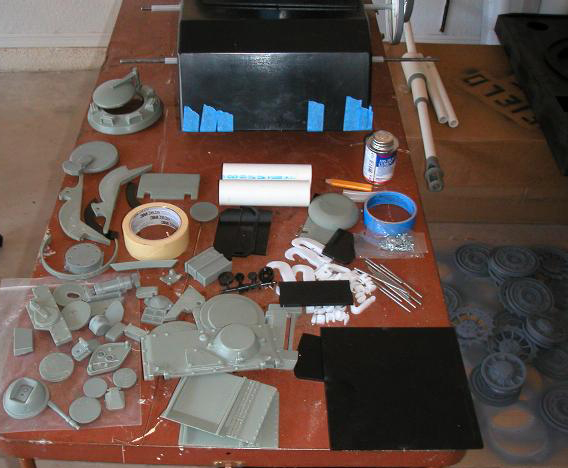 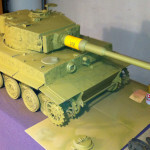 The first build suffered from resin hatches and detail pieces that were not mixed properly and were breaking down (resin breaks down into an oily mess). 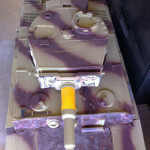 After removing the bad pieces, new ones were remolded, built from wood or ordered from part supplier Panzerwerks. 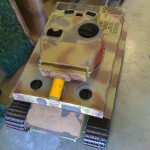 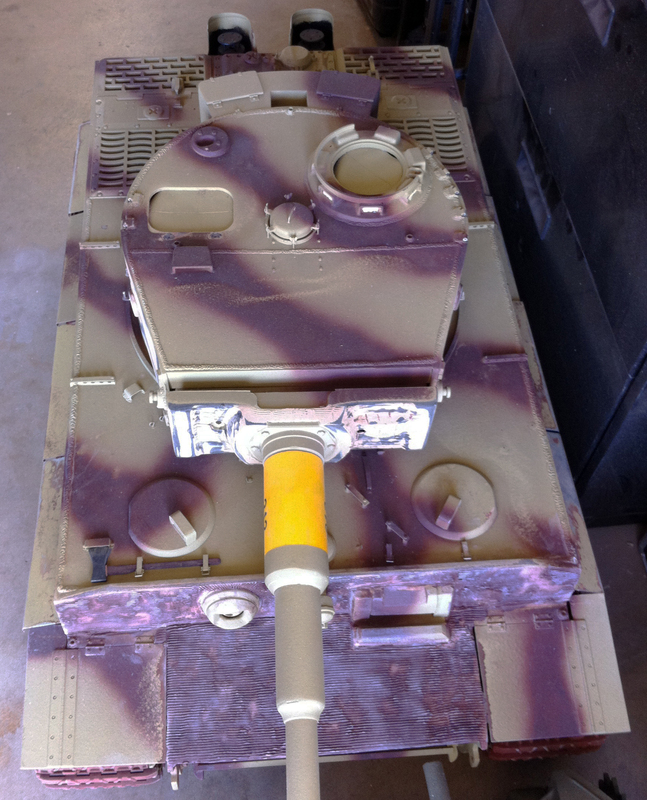 The first application of zimmerit (texturing done to prevent magnetic mines from adhering to the tank) was not done well by Tom, so Jeff redid it for him just in time to have it painted by Scott Carter of Faded Armour. 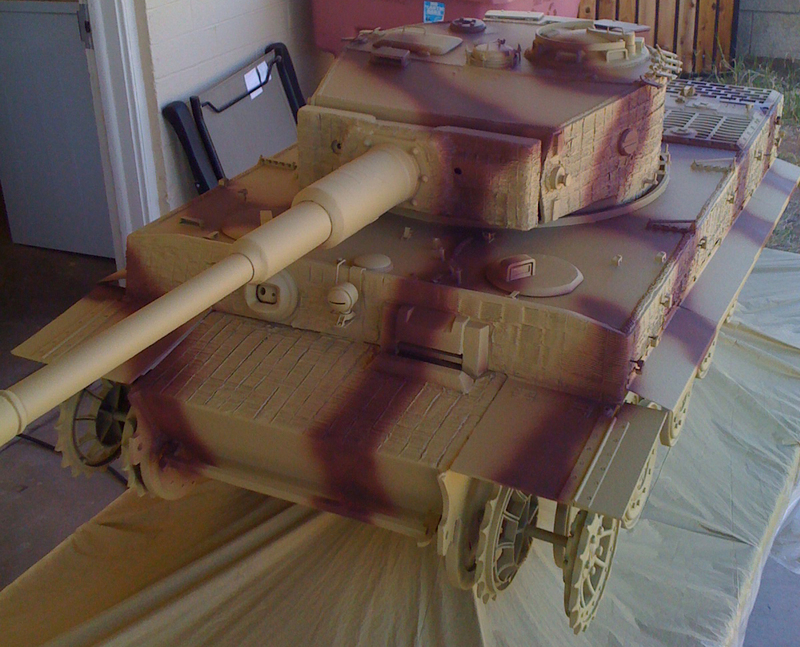 The paint job matches the Schwere Panzer-Abteilung 505 that fought against Russia on the Eastern Front at Kursk in 1943 and in East Prussia until the end of the war.